Thiruvananthapuram Nov 2005 - Honourable Chief Minister Shri Ommen Chandy unveiled Harmony - ayurvedic massage - based wellness and rejuvenation services. Harmony, the company's brand of ayurvedic massage - based wellness and rejuvenation treatments has been unveiled by Hon'ble Chief Minister Shri Ommen Chandy. Tourism Minister Shri Venu Gopal, Dr. J. Hareendran Nair, Managing Director, Pankajakasthuri Herbals India Pvt Ltd, Mr K. C. Chandrahasan, Managing Director, Kerala Travels, Mr. M. Gopa Kumaran Nair, General Manager, Pankajakasthuri Herbals India Pvt Ltd were also present on the occasion. 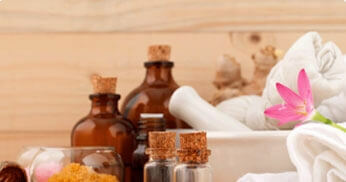 Globally, the acceptance of ayurveda has been increasing over the past few years. However, quality issues and the lack of professionalism have had a negative impact on ayurveda's development. The launch of the Harmony and Panacea brands is part of an effort to dispel negative impressions about ayurveda and establish a benchmark for the industry. Both brands have been developed based on strict ayurveda treatment protocols. Targeted at spas and high-end hotels across the world, the Harmony offers readymade ayurvedic rejuvenation therapies carried out by specially trained masseurs under the supervision of ayurveda physicians. Over a hundred masseurs are currently in the final stages of an intensive 10-month training programme in Thiruvananthapuram. Besides a thorough grounding in various aspects of ayurvedic massage, the masseurs are also learning yoga, spoken English and other `soft skills'. The company currently plans two business models for the Harmony brand. Clients can either choose to hire trained masseurs and ayurveda doctors from the company or can hire the company to set up and manage the ayurveda wellness spa. Services under the Harmony brand can either be an add-on to an existing spa or can be offered as an independent spa at a hotel or resort. In India, the Harmony brand will soon be launched at a resort in Goa, while its international debut will be at hotels in Maldives and Mauritius. The plan is to have the Harmony brand in 100 hotels and resorts across the world by March 2007. For its Panacea brand of ayurvedic therapies, the company plans to target individuals in the UK, Germany, Italy and West Asia.